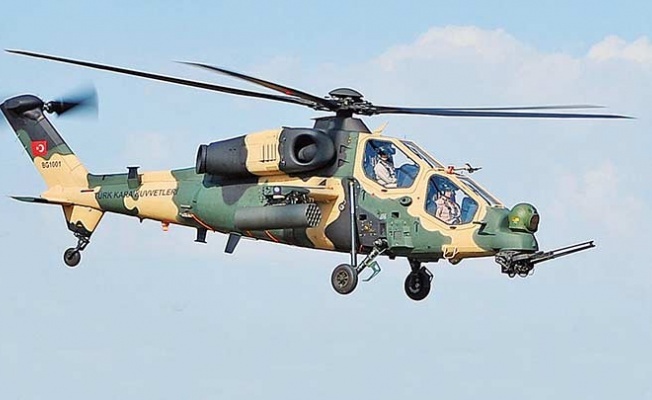 Turkish Aerospace Industry Inc. (TAI) will attend the Defense and Security Fair in Thailand on Nov. 6-9 and the Dubai Airshow on Nov. 12-16 in an effort to market its latest defense equipment, including the advanced attack and tactical reconnaissance helicopter, the T129 ATAK. The T129 ATAK helicopter will perform its first flight show in Dubai, which hosts one of the most remarkable air shows in the world. The T129 ATAK is scheduled to perform in the first three days of the Dubai Airshow. The organization will feature a strong presence in the Dubai Airshow with its ANKA-S, HURKUŞ and T625 helicopters to be exhibited in the static field. TAI General Manager Temel Kotil will meet guests on the first day of the fair in the company’s chalet at the reception to be held in honor of the flight show of the T129 ATAK helicopter. The company, which will also attend the Thai Defense and Security Fair with ANKA, HURKUŞ, National Jet Fighter and ATAK models, aims to make a name for itself in the Asian market that is rapidly growing in the defense and aviation sectors.